Front of House Team Member - IMMEDIATE START - Competitive Hourly Rate - Generous Team Member Benefits, and Discount on Food at Burgers & Cocktails, Giraffe, Giraffe Stop, Ed’s Easy Diner, Harry Ramsden’s, Slim Chickens, and FishWorks - Food on Shift - Career Development Opportunities - Apprenticeship Scheme - 5.6 weeks' Holiday - Pension – Incentives<br><br>Giraffe's adventure began in 1998 and our journey is still going strong. We've scoured the globe for the most exciting dishes and the biggest flavours for our menus and we are all about making our guests feel good, with our positive vibes and service that comes straight from the heart. 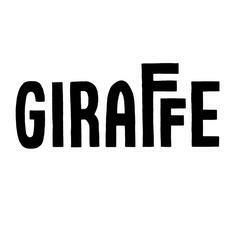 We're searching for the very best Team Members to join our front of house team and help bring the 'feel good vibes' to our guests.<br><br>What do we look for in a Giraffe Team Member?<br><br>• A passion for people and delivering great service<br>• A positive outlook, confident and enthusiastic<br>• You will thrive working under pressure and enjoy being part of a busy team<br>• You will have a good command of English and be eligible to work in the UK<br>• The ability to think differently<br>• Having fun and being yourself!<br>• Experience in a similar role as a team/ crew member, counter server, cashier, waiter/ waitress is a plus but not essential<br>• Please note: A requirement for the role is to be able to serve alcohol; therefore, you must be over the age of 18 to apply <br><br>What's in it for you?<br><br>• A chance to build a career in an exciting industry where no two days are ever the same<br>• A competitive hourly rate<br>• Generous Discount on Food at Giraffe, Giraffe Stop, Burgers & Cocktails, Ed’s Easy Diner, Harry Ramsden’s, Slim Chickens and FishWorks<br>• Exclusive access to discounts on 1000's of online and high-street retailers, and restaurants <br>• We’ll feed you when you’re on shift<br>• Training and development opportunities<br>• Apprenticeship Scheme<br>• 5.6 weeks’ holiday, inclusive of Bank Holidays (full-time)<br>• Employee Referral Bonus <br>• Pension after 3 months’ service<br><br><br>If this sounds like you then we'd love to hear from you! Giraffe - Exeter is posting their hospitality jobs on Harri.